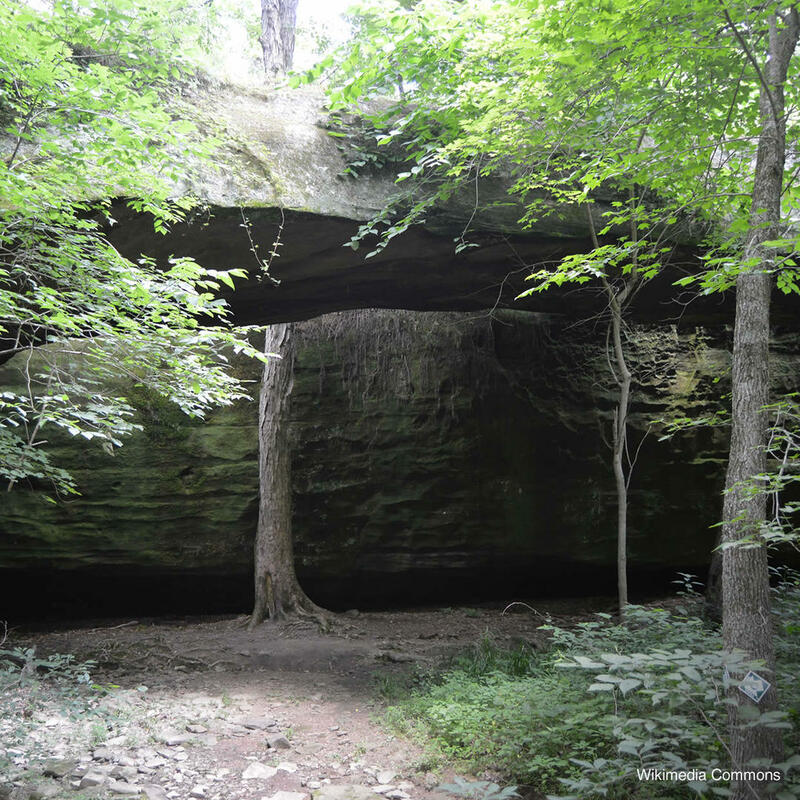 Mantle Rock is an easy trail, about 3 miles round trip, which also features an explorable cave. It is named for a 30-foot high natural sandstone bridge and was part of the Trail of Tears on which the Cherokee Nation traveled after being forcibly removed from their lands. You might see people of the Cherokee Nation here today as they pay homage to their ancestors who spent a bitterly cold two weeks here waiting for the Ohio River to thaw.